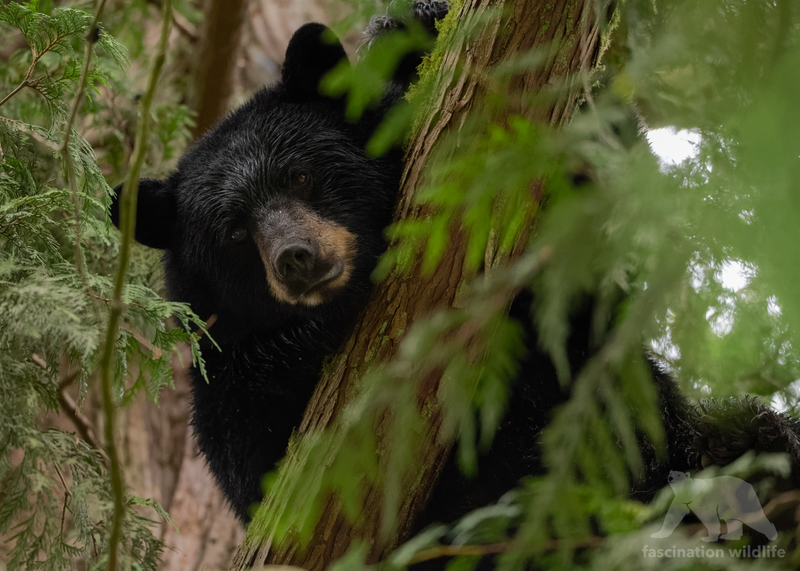 While on a 48 hrs layover in Vancouver in early september i had several exciting black bear encounters. This female black bear just finished feeding on berries and went up a tree to take a nap. She stayed there for about an hour before descending and keep exploring along the small road we were on. It was exciting to have her pretty close but she was very relaxed and didn’t pay any attention to the photographers. The salmon run hasn’t arrived yet but the bears were already in very good shape so i guess hibernation won’t be an issue this year. For more black bears of Canada click here.